Maura García: How do we honour our ancestors? We are thrilled to welcome Kansas-based choreographer and dancer Maura García (non-enrolled Cherokee/Mattamuskeet) to the festival with her latest work They Are Still Talking, a 4-part homage to our connections to our ancestors through air, gesture, intergenerational trauma, and laughter. They Are Still Talking emerges from the idea that our bodies are formed from our ancestors’ good and flesh. When we are speaking and moving, they are also reactivated and brought to life. We are never alone. So how do we honour them? Are we puppets reliving past lives? Where does what is uniquely ours begin? And does that matter? Catch Maura García Dance’s They Are Still Talking on Thursday, November 15th! Very hard question! I am looking forward to it all! I am particularly excited about other dance pieces, including Gashkigwaaso by Waawaate Fobister and In The Abyss by Aria Evans. They have both passed on: Benny Smith and Mitty James. The former was my mentor who taught me how to pray in my language and so many other traditional ways. The latter showed me what it means to be strong, gracious, and loving Giduwagi woman despite hardships. The moon, the sun birds, people walking around, children doing weird child-like things, the movement of everyday actions or work, ceremony, water. Wait for the grant officer or theatre rep to reject you – don’t reject yourself! Be kind. Be firm. Take care of your body. Keep your ceremonies. Visit your people. Do not give up and remember the art world is very small. Dramaturgy. Comraderies. 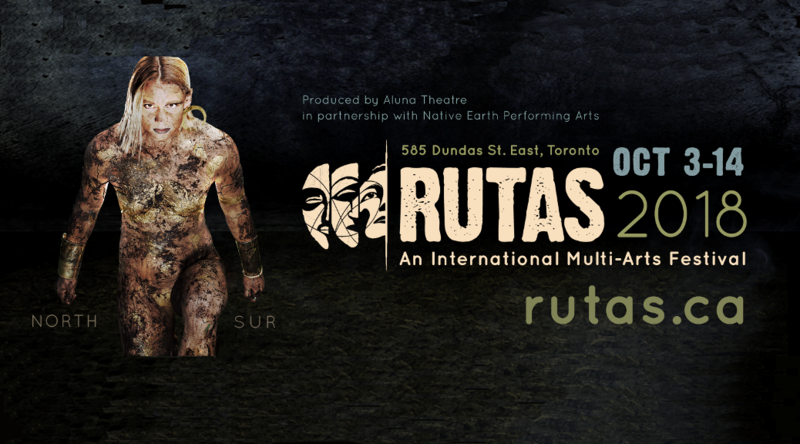 Lively and accessible Indigenous performing arts community. Learn more about Maura García Dance here. Aria Evans: What do all human beings have in common? 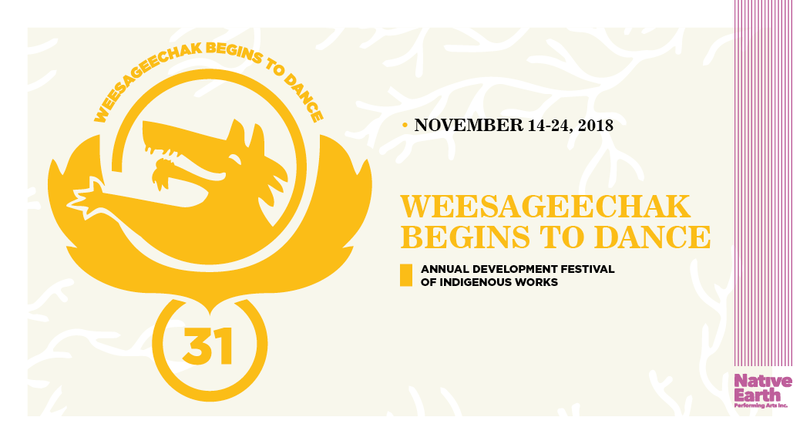 Following the presentation of her solo dance piece link, which was developed at Animikiig Creators Unit, choreographer and dancer Aria Evans (Mi’kmaq/Black/settler heritage) returns to Weesageechak Begins to Dance with an excerpt of her first full length work, In The Abyss. Interested in exploring the common ground between experiences across difference, Evans started researching what all human beings have in common and stumbled across the scientific fact and the beautiful metaphor that we are all made of stardust. This idea catapulted the work forward, as artists of various backgrounds, including Irwin Chow, Jesse Dell, Ana Groppler, Syreeta Hector and David Norsworthy, came together to offer their lived experiences in the creative process. “I love finding the metaphors in life that can be represented in the body,” and this collaborative piece is an example of Evans’ ongoing experiment. Don’t miss Aria Evans’ In The Abyss on Thursday November 15th! I am really looking forward to seeing The Properties of Spirit by Jessica Lea Fleming. I have worked with her in many capacities but never seen her creative work. I have many role models. Right now, I am particularly inspired by my Indigenous peers who are breaking conventions and finding new ways to tell our stories as Indigenous peoples. Some of these artists include: Yolanda Bonnell, Natalie Sappier, and Jeremy Dutcher. Try things. Collaborate with your peers. Ask for support. There are people around you who see you and want you to succeed. Our existence is political, therefore our art is going to be political – just accept it and keep making art! Art is how I express myself and how I relate to the world. Without it, I would have no joy or drive. Art is a way of life that I will never stop living. I am craving for more open conversations around access vs. privilege. I am working towards the presentation of In The Abyss this time next year. It feels like a luxury to have such an extended creative process, and I am basking in the glory of watching my ideas evolve and change.